When it comes to developing new business, you can tell prospective clients why they should hire your firm, or you can show them. Which do you think is more effective? Consultant Charles Green refers to the latter approach as "sample selling," a long-time practice in product sales but less popular in professional services. The key difference is a focus on helping rather than selling, which gives the client an opportunity to experience what it's like to work with your firm before making a buying decision. In marketing, this approach is embodied in what is known as content marketing. In contrast to the traditional self-congratulatory, show-and-tell method of "getting the word out," content marketing involves sharing information and insights of value to clients. This can be accomplished through multiple channels such as articles, white papers, presentations, webinars, blogs, podcasts, newsletters, and social media. The effectiveness of content marketing is well established. But many A/E firms have been slow to commit to it in large part because of concerns about how to produce all the content necessary to make it work. No doubt there's a significant effort required to succeed at content marketing, but it may not be as daunting as you think. In my previous role as marketing director for a national environmental firm, our content marketing generated leads resulting in millions of dollars in revenue from new clients who contacted us. This effort was led by a full-time marketing staff of...two people. Define your goals. Marketing at most A/E firms lacks clear goals in terms of output and outcomes. Like any endeavor, you'll have more success if you determine specifically what you're trying to accomplish. 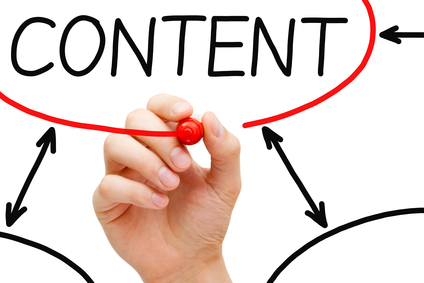 What type of content do you need to produce? How will you distribute it? How often? How will you measure results? What kind of response do you expect? How many sales leads? Identify what topics your clients are most interested in. Effective marketing content is that which is most valued by your target audience—existing and prospective clients. Your firm's client managers should already know what issues matter most to clients, but it's a good idea to informally survey a sample of clients to confirm your hunches. You might be surprised what topics they think are most in demand. Appoint an editorial advisory board. You need a representative group to help define your content marketing priorities, keep the marketing staff informed of hot topics, and provide some level of review. The group should consist of experts who collectively are familiar with your target markets. I'd suggest having the group meet in person or via conference call on at least a quarterly basis, and to be available to marketing staff as needed. Commit the time required to accomplish your goals. In many A/E firms, marketing staff spend most of their time working on proposals, which means their availability to focus on marketing can vary substantially. You'll never succeed at marketing as long as it is performed with leftover time. Instead, you should commit a certain number of hours to your content marketing effort, much as you would allocate time for client projects. Create availability by being more judicious in which proposals you pursue. Inventory your internal content. Start your content collection by identifying whatever articles, papers, presentations, etc., your firm has created in recent years. Compile these in a central location (e.g., a database on your server) where they can be organized and searched by topic. In many cases, these won't be that useful in their current form. But they can serve as source material for future content items in various formats. Find the best online content you can find. One of the great benefits of online content is how easily it can be shared. In the old days, if you found an article or news item that you thought would be of interest to a client, you had to copy or fax it, which thrust you into a gray area of copyright law. Now you can readily include links to online material in your email, blog, email newsletter, or online article or white paper. This opens up an extensive amount of content to be included in your marketing arsenal. Identify top sources of ongoing, high-quality content. These are active websites or blogs you can continue to return to when looking for something interesting and helpful to share with clients. Use Twitter as a ready source of content. This requires identifying and following groups or individuals who regularly post links to useful articles or other resources. You can also use Twitter's search features. Subscribe to email newsletters that link to free online content. There are many choices, and most likely some will fall within the topic areas you're interested in. These offer the convenience of having content sent to your inbox. Commit to spending 5-10 minutes a day scanning for online content. Of course, more time is better, but the point is that using sources such as listed above will enable you to find a good amount of useful content with minimal effort. Set up bookmark folders in your browser to quickly collect and organize links by subject matter or publish dates. This responsibility can be easily shared among coworkers, including those who are temporarily light on billable work. Hire cheap labor to help. One of the ways we managed to have a robust content marketing effort at my previous firm was by supplementing our two-person staff with relatively inexpensive part-time help. We used a couple of college interns to support development and upkeep of our popular resource website for corporate EHS managers. We outsourced a few activities to affordable but capable local service providers. I even hired my 16-year-old daughter to help keep our database in order (and she thought she was making a killing at $8 an hour). Don't rely on your technical experts to do most of the writing. This is one of the quickest ways to hamper your content marketing effort. Very few firms produce enough internal content by expecting their technical experts to do most of the work. A better way is to interview them and draft articles for their review and revision. Likewise, you may need to help them develop that conference presentation or webinar that they just can't seem to find time to do. But promote the value of building one's personal brand. If you want to be known as a thought leader in your field, you need to publish and present. This is a goal that some technical professionals desire, and it's to the marketer's advantage to help them pursue it. The benefits are accrued both to the individual and the firm. So seek out those who are willing to commit their time to your content marketing effort because it helps them build their personal brand (thus enhancing your firm's brand). Consider hiring a contract writer. If you don't have the time or talent to do the writing in house, you might find a part-time contract writer an attractive option. Many are both quite capable and affordable. With the downturn in the newspaper industry, you might find a former reporter who is experienced in researching and writing about a wide variety of topics. In my last marketing role, we used a contract writer who was very efficient and a good value for the output. She enabled us to vastly enhance our visibility through the many articles she ghostwrote and had published in various magazines, journals, and newsletters—not to mention the internal publications she supported. Recycle content to the extent you can. That blog post that attracted so much attention? Why not rewrite it for inclusion in a third-party publication? Or develop a webinar based on it? Perhaps it can serve as inspiration for an upcoming conference presentation. Given my limited time for marketing as a sole proprietor, I routinely recycle content—greatly expanding the audience for my best insights and advice. You should too. Distribute content through multiple channels. This suggestion naturally follows the previous one. Every time you circulate a link to your latest blog posting, for example, you reach a wider audience. Social media has potential to substantially multiply the reach of your content. Consider sharing your best presentations on SlideShare. Post your internally-produced webinar on your website. Videotape your seminar and post excerpts on YouTube. Use content to support your sales efforts. With your substantial library of content, you have a invaluable resource to supplement your sales meetings and phone calls. Follow up that discussion about design alternatives with an email that has links to additional information. Stay in front of the client without becoming a pest by periodically sending content that's relevant to the client's needs. Show you're thinking about the client (existing and prospective) by forwarding an interesting article you recently discovered. Stop worrying about sharing your content with competitors. One of the most common (and spurious) reasons I've heard for not committing to content marketing is the fear of giving valuable information away to competitors. Despite the prevalence of this excuse, I have yet to hear of an example where this happened to the detriment of the firm sharing it. And even if this occurred on rare occasion, does it negate the benefits of a strong content marketing effort?